Kits shown may not exactly represent kit purchased due to constant updating. Prices subject to change. Let our staff customise a kit to suit your needs!! Already have your own kit? No problem. For a minimal cost we can come to you and check your kit, replacing only what has been used or has expired. 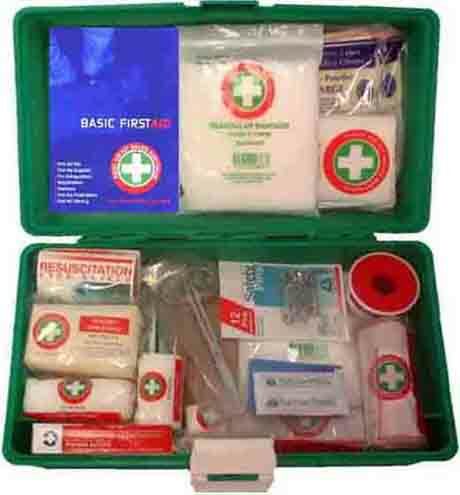 For more information on any of your first aid supply needs, please contact either Mark or Jackie.